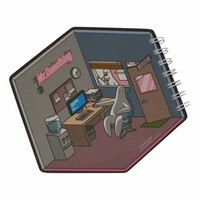 Even Mr. Donothing has to pay the bills and that's why he has a job. 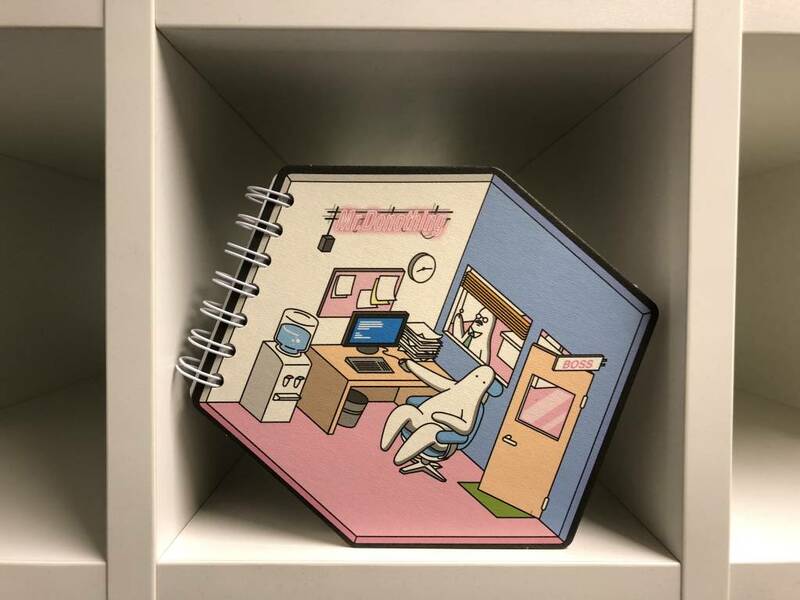 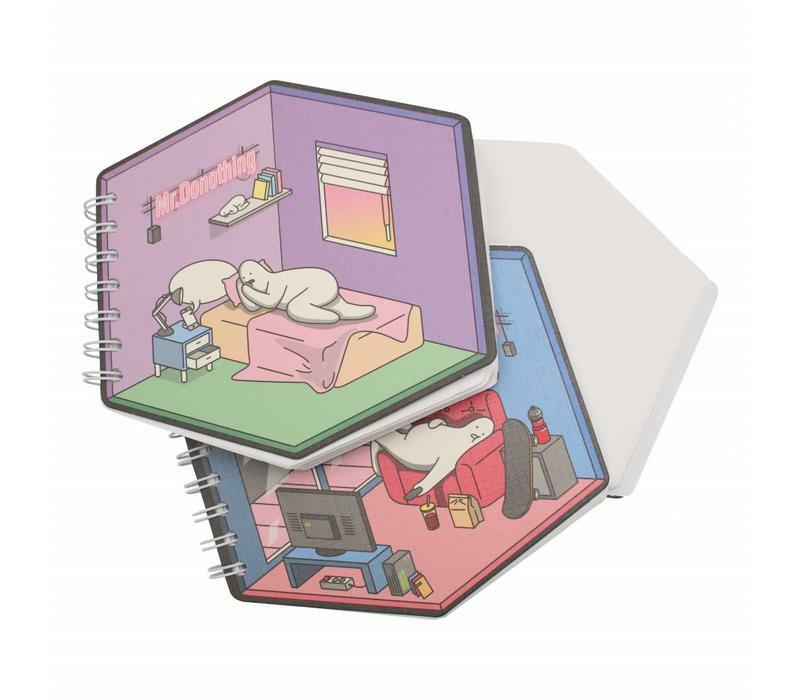 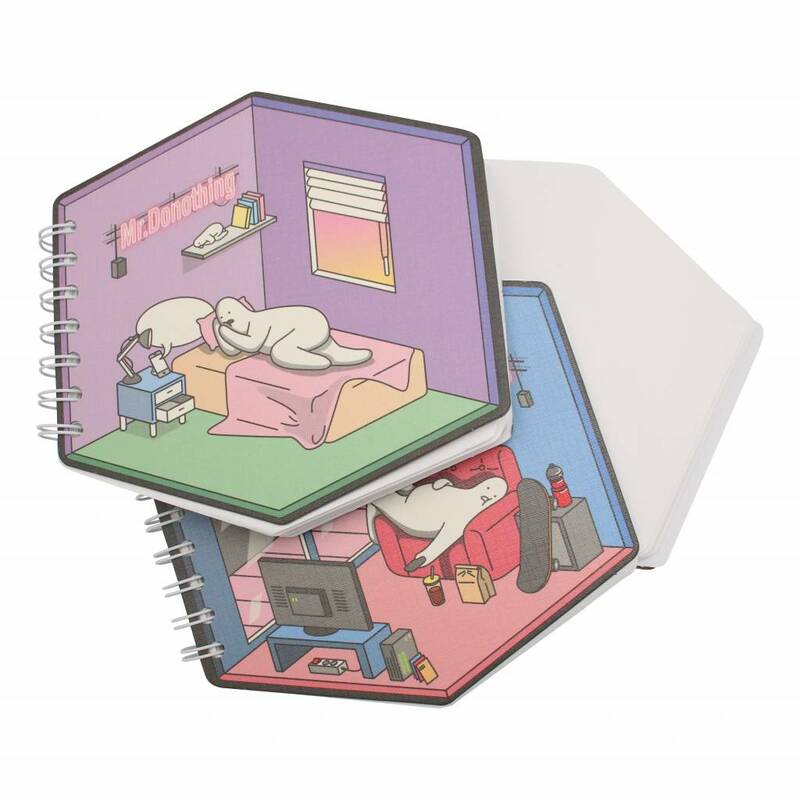 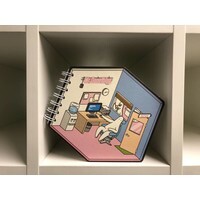 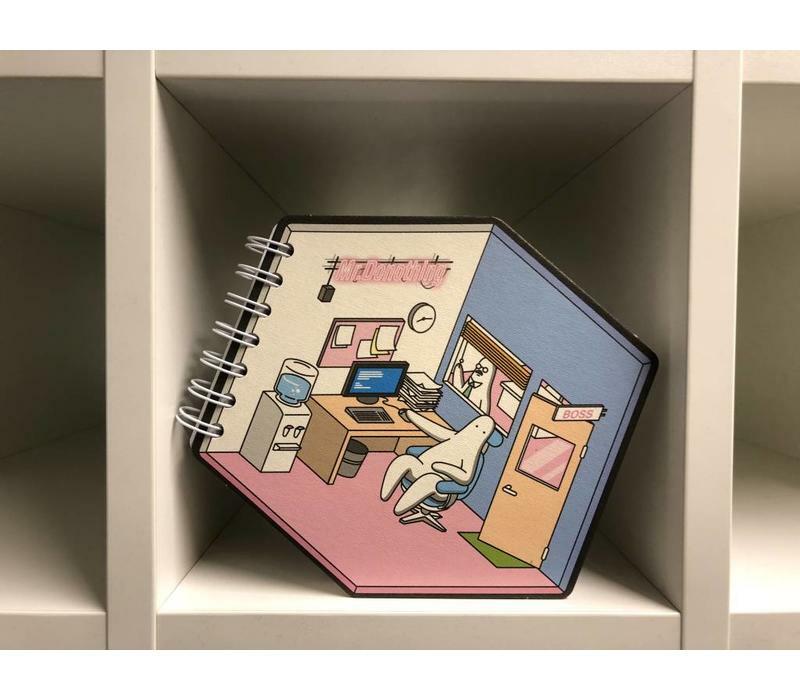 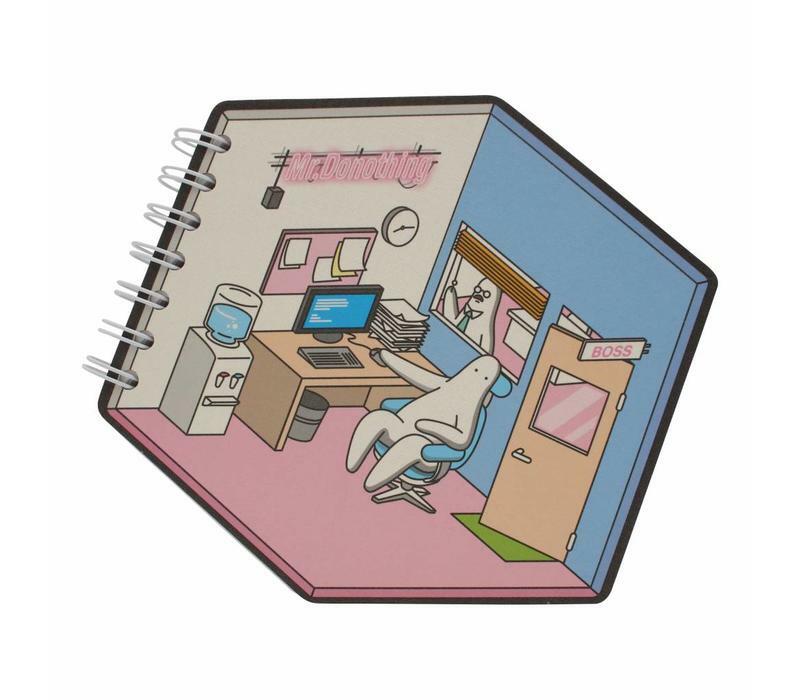 But he is still very lazy.. Luckily you can witness his laziness on daily base with this fun and unique shaped notebook. 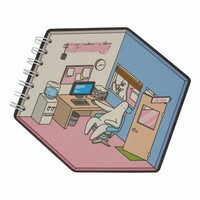 Pages are blank.